Tevin Coleman and DeAndre Hopkins look like strong options at their respective positions. Who else should you target this week on DRAFT? Entering Week 4, not only injuries but bye weeks begin influencing fantasy decisions. To kick off the bye weeks, Carolina and Washington will take a rest, removing stars Christian McCaffrey, Cam Newton and Jordan Reed. Given that, and with team identities slowly forming with each coming week, exploitable matchups are also increasing in predictability. 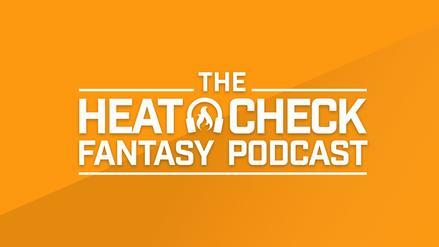 DRAFT provides another outlet for fantasy owners to display this knowledge and take home cash prizes during the bye weeks. With each team rostering five players (1QB, 2RB, and 2WR), knowing which matchups to target can be the difference in a winning and losing week. With that said, here are a few players to prioritize this week on DRAFT. Philip Rivers - Before I say anything, Patrick Mahomes remains in play as an early-round option. However, with Mahomes going absurdly early at times, Philip Rivers offers an ideal consolation prize. To start the year, Rivers has 906 passing yards (7th) and 8 touchdowns, with only 1 interception. This week, Rivers draws an awesome matchup against a struggling San Francisco 49ers defense that has allowed the fifth-most passing yards to start the year. To sweeten the matchup, the 49ers will not have Richard Sherman and will instead turn to Ahkello Witherspoon, who has been pulled multiple times this season, and likely Jimmie Ward. Likewise, stud safety Jaquiski Tartt failed to practice on Wednesday after missing Week 3. With the Chargers favored by 10.5 points and carrying a 28.75 implied total, expect Rivers to contribute to a great deal of scoring. Going in the middle rounds, he offers a solid floor and massive ceiling against the Niners. Andy Dalton - Looking at late round quarterbacks, both Andy Dalton and Matt Ryan make sense in the same game. However, due to a lower draft cost and a multitude of injuries on the other side, we will give the edge to Dalton. As noted, Dalton will face an Atlanta Falcons defense that has allowed the ninth-most passing yards to start the year. In addition to the losses of Keanu Neal and Deion Jones, the Falcons lost defensive back Ricardo Allen to injury. That being the case, the Falcons have become a defense to target for fantasy purposes. This game also offers shootout potential, with the second-highest over/under on the slate at 51 points. Lasting deep into the late rounds, Dalton has out-performed his cost. He has 860 passing yards and 8 scores to start the year. Assuming A.J. 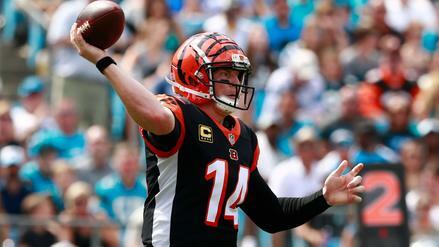 Green suits up, Andy Dalton is a no-brainer in weekly snake drafts. Ezekiel Elliott - Again, before diving in, you should know that Todd Gurley and Alvin Kamara should be drafted one and two overall in weekly snake drafts. However, sneaking into the late first round, Ezekiel Elliott has a chance to rise into the upper echelon of running backs based on opportunity and matchup. Through three games, Elliott is one of two running backs, along with Christian McCaffrey, to play on more than 90 percent of their teams snaps. Zeke leads this group with a snap rate of 94 percent. He has also dominated from a volume perspective, seeing a league-leading 98.3 percent of the running back touches in Dallas. Zeke also gets to play at home this weekend against a struggling Detroit Lions defense. Detroit has allowed a league-high 450 rushing yards to running backs (80 more than the next-highest team). The Lions were recently gashed by Matt Breida and Isaiah Crowell for 138 and 102 yards, respectively. A mid-first round pick and playing at home as a 3.0-point favorite, Zeke is a no-brainer for those missing out on Kamara and Gurley. Tevin Coleman - After disappointing against the New Orleans Saints with 33 yards on 15 carries, Tevin Coleman slips into the late second/early third round of snake drafts this week. However, with Devonta Freeman expected to miss his third consecutive game, he remains on the fantasy radar. In two games without Freeman, Coleman has 31 carries and 7 targets in the Atlanta offense. Cincinnati has struggled to defend the run this year, allowing the seventh-highest rushing yards (305) to start the season. They've also allowed an additional 179 yards through the air to running backs. Just last week, Christian McCaffrey went absolutely berserk for 184 rushing yards on 28 carries. Playing at home as a 5.0-point favorite, Coleman looks like a strong target in the middle of drafts. Kenyan Drake - Lasting deep into the late rounds of snake drafts, Kenyan Drake offers sleeper potential for those opting for a late-round running back approach. Drake remains stuck in a time share with Frank Gore, but this backfield skews in Drake's favor. Drake has 111 snaps, 30 carries, 12 targets, and 6 red zone opportunities to Gore's 58 snaps, 24 carries, 1 target, and 2 red zone opportunities. More importantly, Drake draws a favorable matchup against the New England Patriots this weekend. The Patriots' 358 rushing yards allowed rank third-most to start the season, and they've leaked an additional 154 receiving yards to backs, an area Drake specializes in. While not a totally confident play due to the time share and potential game script as a 7.0-point road underdog, Drake offers the requisite late-round upside to take down a weekly snake draft. 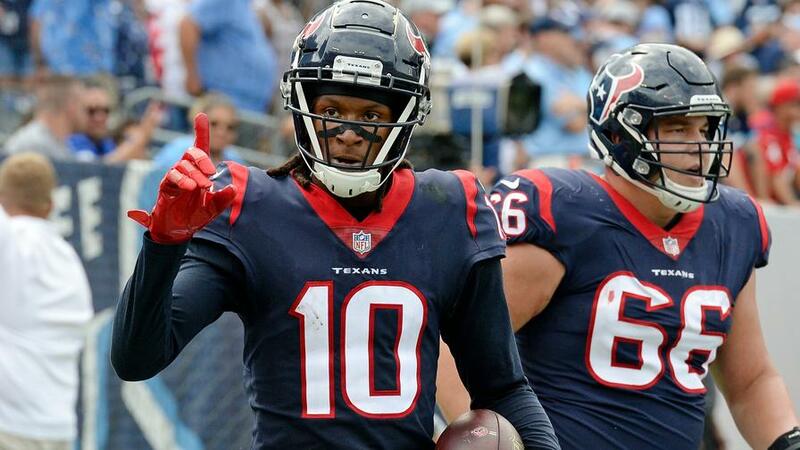 DeAndre Hopkins - After Michael Thomas and Antonio Brown come off the board, DeAndre Hopkins looks like a solid receiver to target at the end of the first round. To this point, Hopkins has 291 receiving yards and 1 score, but his opportunity has been much greater. Hopkins ranks 8th in the NFL with 33 targets, and has seen a whopping 487 air yards (second in the NFL). Despite a slow start by Hopkin's standards, his game against the Indianapolis Colts could be a get-right spot. The Colts allowed A.J. 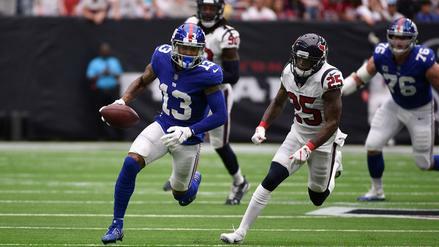 Green to reach 92 yards in the opener and have since faced the struggling receiving corps of the Washington Redskins and Philadelphia Eagles. Last week, the Eagles clearly focused on the tight ends, using two or three tight ends on a majority of their pass plays. While Indy has played solid pass defense to this point, much of their defensive backfield remains a work in progress. Aside from Kenny Moore's solid play, the Colts will rely on a combination of journeyman Pierre Desir, and second-year pros Quincy Wilson (second round draft pick) and Nate Hairston (fifth round pick). Hopkins has proven to be an elite receiver and should be trusted at the end of the first round. Jarvis Landry - Slipping into the middle rounds, Jarvis Landry's volume and role in Cleveland's offense remain underpriced in weekly snake drafts. Through 3 games, Landry had 287 scoreless receiving yards, but boasts the 6th-most targets in the league (35). Landry also has 409 air yards to his name, ranking 7th in the NFL. With Baker Mayfield stepping in as the starter and Josh Gordon traded to New England, Landry actually has room for growth despite his already massive role. Landry also has the benefit of facing the Oakland Raiders' weak secondary. The Raiders have allowed the 3rd-most yards to receiver this season, including 96 to Emmanuel Sanders and 87 to Brandin Cooks. Let other teams reach in the mid-rounds, and take Landry's secure volume and matchup. Emmanuel Sanders - Taking over as Denver's number-one receiver, Emmanuel Sanders has out-gained Demaryius Thomas 269 to 138 despite 2 fewer targets. Sanders finds himself is in a solid matchup this weekend against a Kansas City Chiefs defense that has allowed at least 27 points to be scored on them each game and the 9th-most fantasy points to receivers this season. Sanders' matchup is enhanced by his increased usage in the slot. So far this season, the Chiefs were flamed by Keenan Allen for 108 yards and JuJu Smith-Schuster for 121 yards. Allen and Smith-Schuster spend 46.5 percent and 77.8 percent of their snaps in the slot, respectively (per PlayerProfiler). Falling to the last round, Sanders should anchor teams employing a late-round wide receiver strategy.